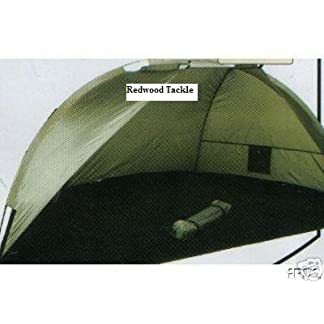 Umbrella tent for 1-2 persons, waterproof, hydrostatic fabric 210D Polyurethane Coated Nylon, 5,000 mm water column. 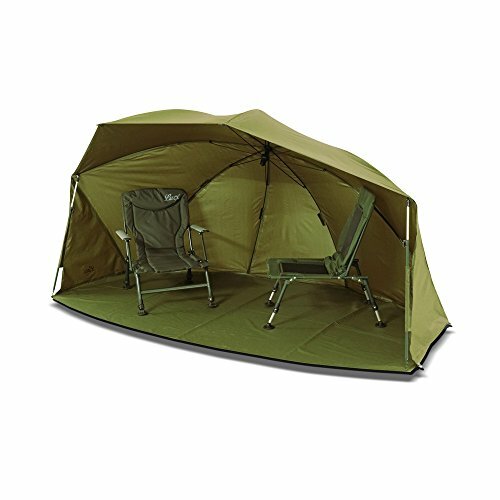 Tent dimensions (LxWxH): 280x200x140 cm; Canopy dimensions: 60 inches, Packing dimensions (LxWxH): 185 x 20 x 15 cm, Weight: 6 kg. Umbrella tent (lightweight and very strong aluminium structure, quick assembly and disassembly). 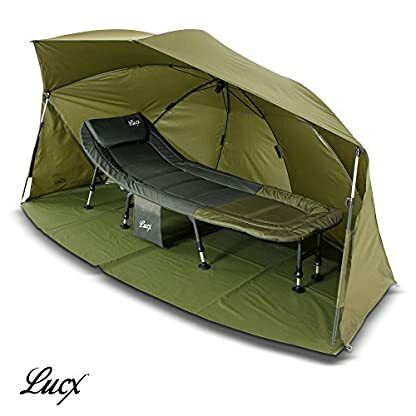 With Lucx ‘Leopard’, we will be able to give you a very top of the range brolly / umbrella tent. 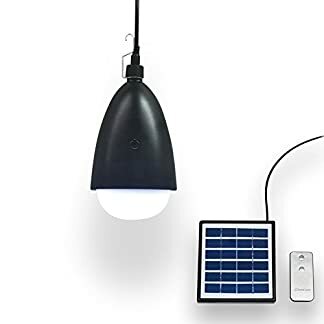 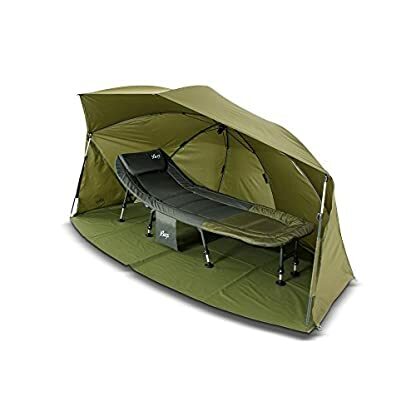 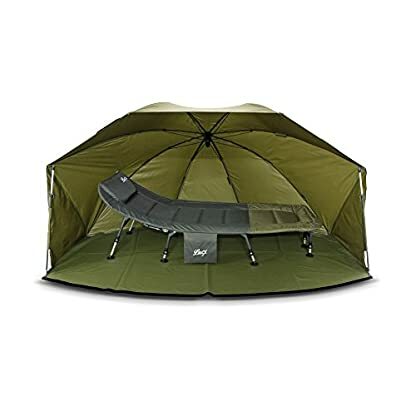 Lightweight, sturdy aluminium construction, quick to collect disassemble, detachable base (Velcro system), easy to wash, top of the range, water resistant and hydrostatic outer subject matter (210D polyurethane nylon), water column: 5,000 mm, double coated seams. 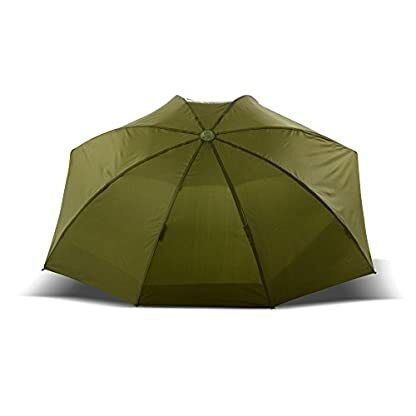 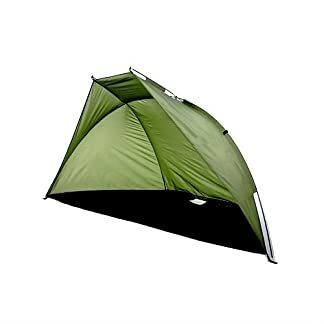 Umbrella tent 2 storm poles, sufficient tent pegs, spacious carry case for the umbrella tent, extra carry case for the pegs. 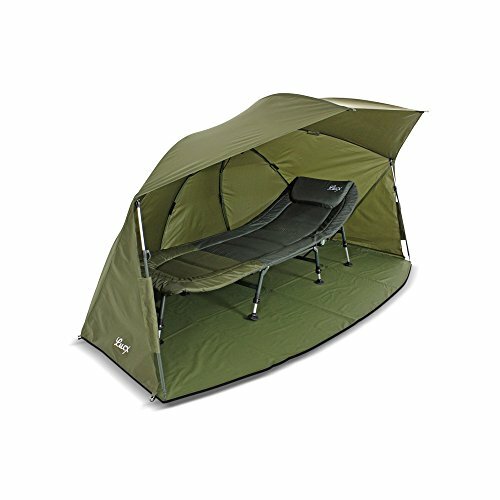 Please note: Fishing bedchairs aren’t included! 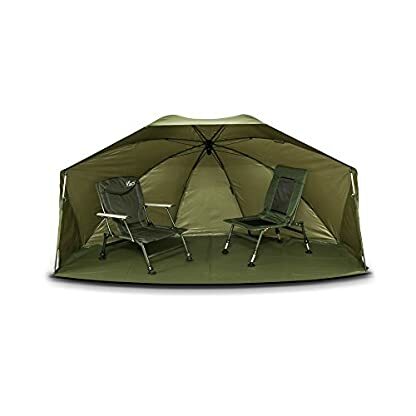 Umbrella tent for 1-2 persons, water resistant, hydrostatic fabric 210D Polyurethane Coated Nylon, 5,000 mm water column. Wind, snow and water-resistant way to coated outer subject matter. 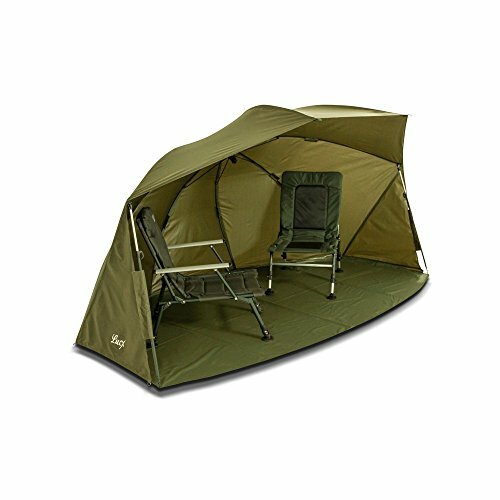 Box contents: umbrella tent with strong aluminium structure, robust removable tent base, 2 storm poles and carry case.